Do you know what today is, Exile? That’s right! 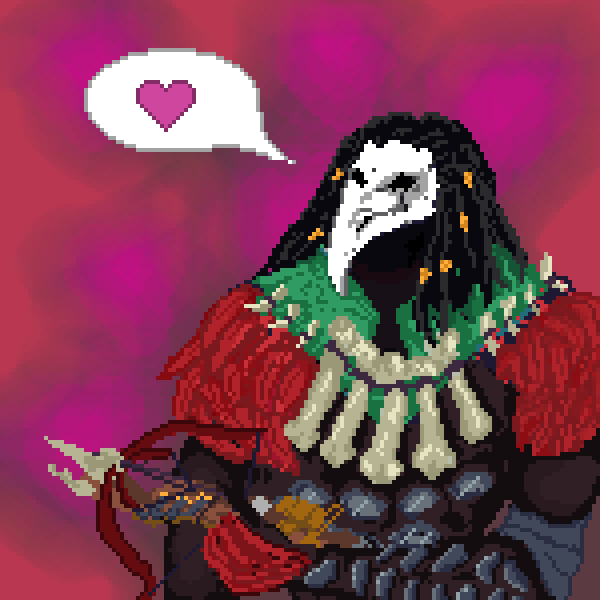 It is the one-week anniversary of the slightly-more-than-a-year anniversary of me, Einhar! 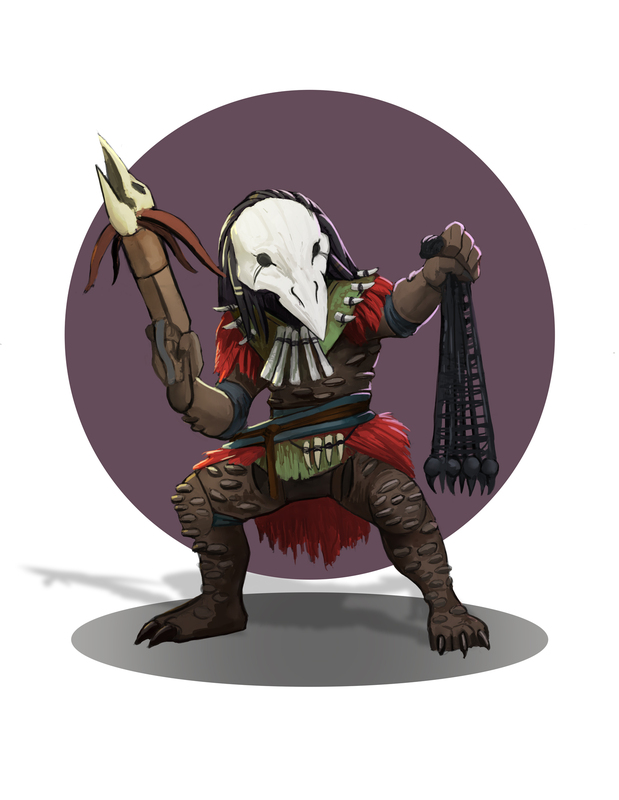 Did you know there is an Einhar-Themed Talent Competition right now? Many Exiles have already proved themselves to be worthy with impressive poems, wonderful art, and even music! The music was like music to Einhar’s ears! 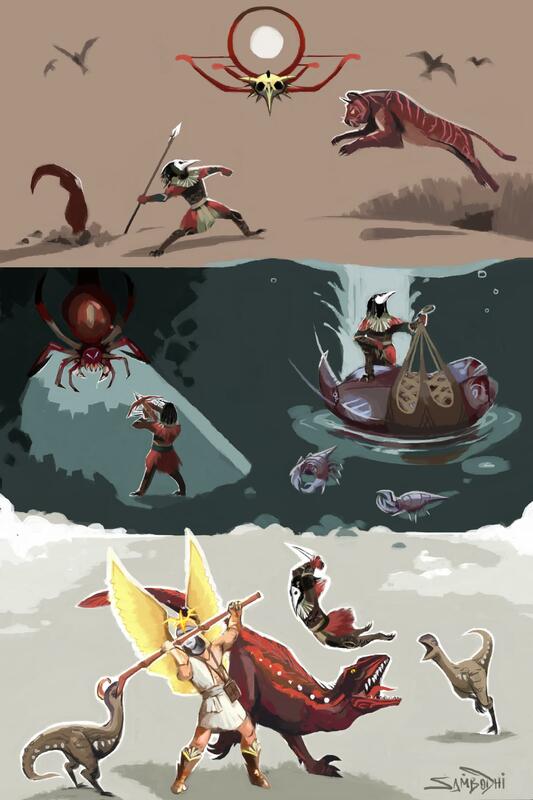 Here are just a few that Einhar particularly liked, but there are many, many other great creations, and plenty of time left to make your own! You have captured Einhar’s combat pose masterfully, and without a net! I like to squat so I am always ready to jump. It is a lesson I learned when I was rounding up the baby rhoas. They love to nip Einhar’s ankles! It is OK! I like to nip their ankles too. I looooove this, Exile! Einhar looks like a mighty hero! Though I would not leap towards Saqawal so recklessly. I would sneak behind like a cat. I have practiced the technique for many hours with my best friend, Navali. She is very hard to catch! Ohh, this makes me want to jump onto the Blood Altar and take on every beast at once! But squishing so many beasts into those cages is a lot of work, and they do not feel like fighting afterwards. Or moving. It is called “Einhar Remembers!” but I do not remember this at all! 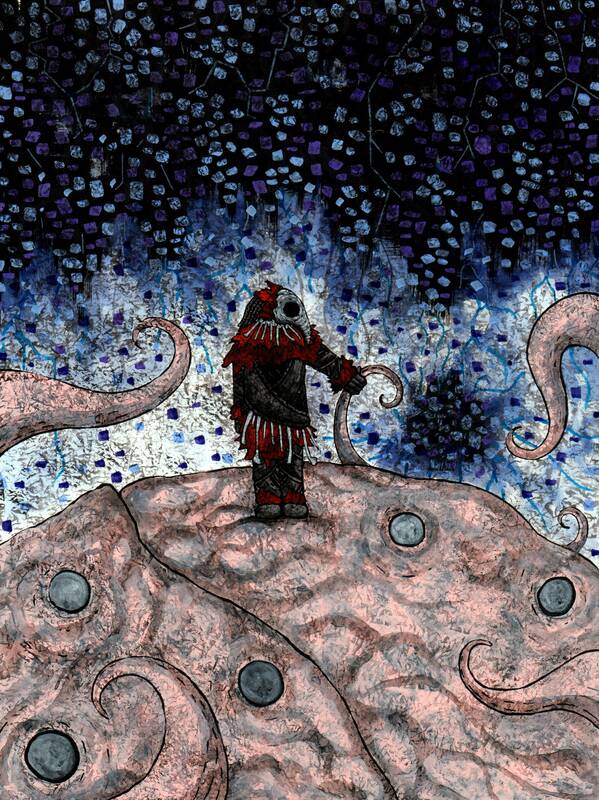 Einhar has never stood on top of a giant tentacled brain monster. But I would now like to. You will tell Einhar if you see one, yes? Great job, Exile! This looks like Einhar if Einhar was made of many tiny squares! One time I found a Chimeral with square scales, and I tried to make a picture just like this one! Except mine was only green and red and did not look anything like Einhar. Also I tried to eat the scales. It was crunchy like sand. I did not enjoy it. I must go feed the snakes with the other snakes, but I will be back with more great creations soon! Bye bye! WOW! GJ everyone! Looks so good! The only thing better than these submissions are the commentaries from Einhar_GGG!